In Morocco Ask for information at the nearest regional office of the Ministry of Tourism or at the local Tourist Information Office. 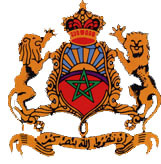 Before you arrive Contact the Moroccan National Tourist Office Branches of which can be found in most capital Cities, or the Moroccan Embassy or Consulate. Hotels Hotels are awarded ratings between one and five stars, with prices agreed by the Ministry of Tourism. There are 100,000 beds available in classified hotels. Camping and Caravaning Morocco offers more than 41,000 camping and caravan places on 87 sites, situated near beaches and in wooded areas close to local tourist attractions. Youth Hostels Younger travellers, from 13 to 30, can stay in one or more of the many Moroccan Youth Hostels. For more information contact the Royal Moroccan Federation of Youth Hostels at Casablanca - Tel: (02) 2.47.09.52 Fax: (02) 2.22.76.77. Cities and Towns of Interest Tangier, Tetouan, Chefchaouen, Al Hoceima, Saidia, Oujda, Figuig, Asilah, Larache, Rabat-Sale, Meknes, Fez, Ifrane, Taza, Mohammedia, Casablance, Azemmour, El Jadida, Safi, Essaouira, Beni-Mellal, Azilal, Marrakesh, Ouarzazate, Zagora, Errachidia, Erfoud, Agadir, Tiznit, Taroudant, Tafraout, Guelmim, Laayoune, Ad' Dakhla. Important Archaeological Sites Volubilis (Meknes), Chellah-Oudaias (Rabat), Lixus (Larache), Cotta and some surprising cave dwellings at Tarraga, Tamegoul, Merkala, Taourirt, Erfoud, Taous, and the most impressive, Foum El Hassan. Outstanding Scenery Mediteranean coast, the Marrakesh palmeraie, the Middle and High Atlas, the Valleys and Gorges of the Dades and Ziz, the Draa valley and the Todra Gorge, the massive sand dunes of Merzouga, the Souss, the Sahara and many more.